“The effect of education, I suppose,” quoth Fanny Price as she relayed tales of Mansfield with an air of guilt over the scandalous nature of her gossip. Fanny learns lessons as she lives juxtaposed to the rest of the family. She is intelligent, witty, diligent, and strong of heart but born out of privilege. 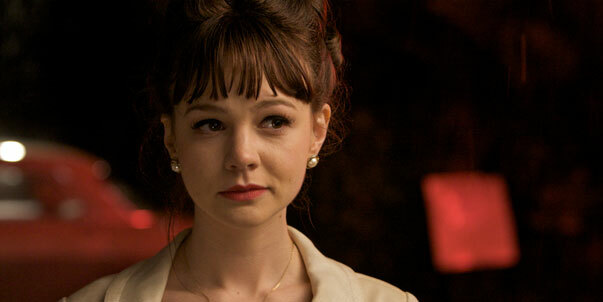 In this tragic film, starring the lovely Carrie Mulligan, we see a young girl living a bit as I believe Fanny would have if she’d lived in the 60’s. She’s intelligent, a fighter, with whimsy and a sudden doorway into the privileged life of the playboys of London. They rob from the rich to feed themselves. They rob from the young to feed their lusts. He is no Robin Hood. And she, strong spirited and mature for her age, must learn the lessons which her parents are unable or unwilling to teach: honor, dignity, wisdom, responsibility, integrity, and morality. I am sad for her. I weep for the immoral masses without mentors. I am determined all the more to teach these principles as an educator, all the while knowing that I can only go so far. I felt oddly kindred with Emma Thompson’s character to a point, but grateful in the end for the other teacher, Miss Stubbs. Tragic name, but hopeful character on a journey of her own. All she lacked was joy in conviction. The two can coincide. Unfortunately, this film did not allow for that. Hi splatteronfilm, your an education 2009 post is really one particular of the most beneficial substance that :-bd. I loved this movie…and your blog is great.